An alien says "Bzzt." 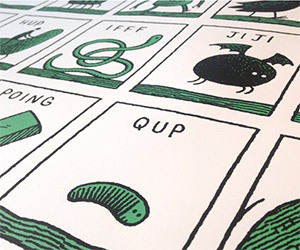 Check out this great art print by Tom Gauld based on sounds made by aliens. 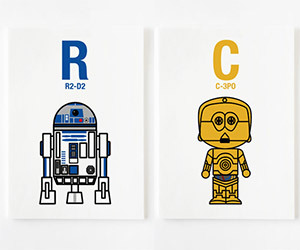 This Star Wars character alphabet covers every Star Wars favorite from Ackbar to Zuckuss. A perfect gift for your little aspiring Star Wars geek. From Astronaut and Black Hole to X-Ray and Zodiac. 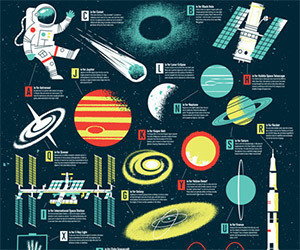 Brad Woodard and Jordan Wittlich collaborated to develop this great, limited edition space-themed alphabet print.